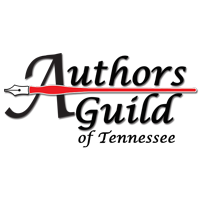 The ACFW (American Christian Fiction Writers) Conference is August 25th – 28th this year! You may have seen this recently on other author blogs. I know I have . . . and I decided to post one, too. Thank you to Laurie Tomlinson for such GREAT questions! Laurie had an awesome idea . . . to have a pre-conference mixer for those attending the ACFW conference. She designed a link-up of questions to answer so that authors going to the conference can learn more about each other and people who ‘drop-in’ to the conversation can also get a little snapshot of various authors. What do you write? What’s your tagline: I write cozy mysteries… Amish cozy mysteries… I imagine about now is when you’re asking yourself why I’m taking part here. Well, I’ll tell you why. Because I’ve been asked to co-write a novel with an author who writes speculative fiction… dystopian… whatever they’re calling it this week! So, if I’m to be involved in writing this genre, I need to learn a bit more about it, don’t you think? What’s your take on it? Do you think I should participate? Can a writer of Amish fiction delve into dystopian/ speculative fiction? Well, if you’ve read Deep Shadows by Vannetta Chapman, I think you’ll agree that the answer is a resounding YES! Place in the book world: First and foremost I am a Christian. Writing isn’t something I decided to do . . . it’s something that’s been with me for most of my life. I just happen to be at a place in my life now where I’m able to make time to pursue a writing career. It’s a lot of hard work, but I’m loving it, especially when I get caught up in writing a story . . . I forget everything around me and lose myself in the story! On a scale of hugger to 10-foot-pole, please rate your personal space: Hugger! Definitely a hugger! 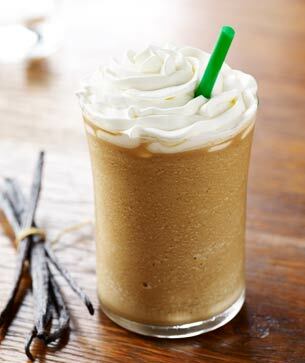 Occasionally, I mix it up with a Java Chip or a Vanilla Bean Crème Frapp. 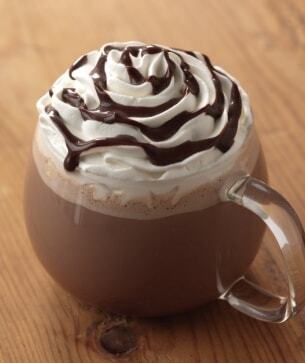 In the winter months, it’s always a Tall Hot Chocolate (no whip)… and it’s healthy, because it’s made with dark chocolate! YUM!!! The unique talking points that will get you going for hours: My love for Jesus! My grandkids! Hobbies, including reading, knitting, crocheting, quilting. Favorite Christian movies (such as Do You Believe, God’s Not Dead, Courageous, etc). Loved ones at home you’ll be missing: My grandchildren will be going to camp — and having a great time. They probably won’t want to come back! Their mom is actually coming with me, so I’ll be enjoying her company while at the conference. Conference goals we can pray for: Prayer for all those coming to the conference — for safe travels, and safety while in Nashville. I’m praying for the opportunity to meet new friends, especially online friends I’ve been waiting to meet in person, and time to visit with friends that I only see at conference . . . and learning how to be a better writer. As far as general goals, I am constantly in need of prayer… for God to guide my words, so that my books will glorify and honor Him — and be a blessing to my readers. I am also praying that I can retire (from my day job) by the end of 2017 — and devote more time to my writing career and my family. Anything we can celebrate with you? YES! I am thrilled about the impending release of my second book . . . and I have an cover release party coming up and a 2-week book tour with Celebrate Lit for my Amish Sweet Shop Mystery series — August 23rd – September 5th. One or two ways we can help you build your platform: Oh the usual ways… LIKE my Facebook page, Like my Twitter page, Sign up for my Newsletter, Follow my blog… And post reviews. Reviews are ALWAYS a good thing! REVIEWS are better than birthday cards! And if you’re at the conference, look for me (I’ll be wearing a long skirt). Say Hi! I’d LOVE to meet you! Previous Post Blessings… or complaints! Next Post My 1st Award !! !